These warm chestnut and charcoal hues can certainly be relied upon to keep the wintry chills at bay. Made up of traditional brushed cotton with a square collar design and finished with real shell buttons. Available in regular and tall leg lengths. 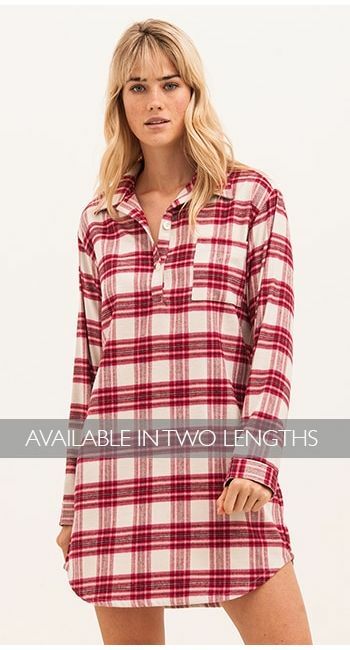 Ladies pj trousers and nightshirt available in the same fabric as well as matching men's and boys' pyjamas.